Back in 1967, Canada looked like one of the coolest places on earth. It was the confederation’s 100th birthday, and to celebrate, we threw a great big party in Montreal called Expo 67. It was one of those moments, not untypical in our history, when Canada does something dramatic to alert the world to our existence, only to fall back below the fold again for decades after things settle down. Think Vimy Ridge, or Dieppe, or the 1979 Iran hostage crisis, or on a happier note, the 1972 Canada-Russia Summit Series. So here we are in our sesquicentennial year, which has been duly branded Canada150, and the party is again in full swing. But unlike Expo, which showcased the world, Canada 150 is a more inward-looking, scaled-down affair, with only the family and a few close friends in attendance. Does Canada look as cool now as it did then? In this, as in all moments of such civic portent, the mythmaking machinery will work hard to convince us of our success as a democracy, a nation, and a unified people. Much of that is justified; some of it is not. An unvarnished look at the reality of the Canadian experience reveals some glaring tensions. So how do you take something as complex, nuanced, diverse and full of contradictions as a nation and subject it to the laser focus required by a brand? That challenge has certainly not stopped nations from trying. 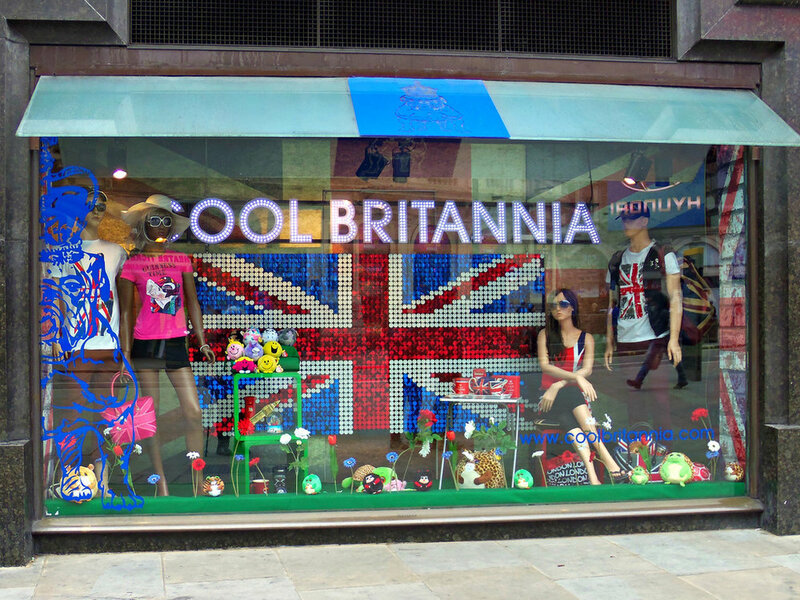 Back in the 1990s, for instance, the “Cool Britannia” campaign tried to rebrand the UK as young, creative and current, with a heavy emphasis on fashion and music. It flopped, mostly because of its London-centric messaging. Other nations, through a concerted effort of policymaking, economic stewardship and private/public collaboration, have successfully altered their countries’ brand image. A case in point is South Korea, which in a combination of actions led by both the private and public sectors, allocated funding to attract of foreign students, increased international aid, and deployed Korean volunteers abroad. In parallel, tremendous investment in technology has resulted in globally recognized brands like Samsung and Hyundai. As such South Korea successfully improved its image by exporting culture, products and policies that really mattered to the rest of the world. So you may not be able to ‘brand’ a nation like you can brand a product, but you can capture the way countries are perceived and measure them against each other across a set of success criteria, much as one would do with any other brand. And as always in an experience economy, actions speak far louder than words. You can’t advertise your way out of a set of negative perceptions. And there you have it. It is no coincidence that the rise of geobranding echoes that of globalization, the weltanschauung of which is that the world is a market where all things are for sale and accessible to all who want to buy them, nations included. So what’s the formula for brand success in the global supermarket? That question has inspired the creation of country brand indexes by outfits such as Futurebrand, Anholt-GfK, and BAV Consulting (owned by Y & R). The model here is to build a quantitative survey based on the attributes which are deemed critical drivers of positive perception, and then rank countries by how well they perform against them. Typical drivers are quality of life, governance, openness to business, culture, tourism, immigration and investment. Which of the indexes you choose depends essentially on your judgment of the quality of the survey and its respondents. A country brand index, therefore, is essentially a perception management tool. BAV Consulting CEO John Gerzema puts it like this: “The model that we built with the Wharton School is purposely set up to understand perceptions. It has nothing to do with actual reality.” In other words, in these kinds of surveys, perception is pretty much the only reality that counts. This echoes an article that appeared in The Economist back in November 2016, just after the US election. It branded Canada as the last remaining bulwark of liberal democracy in the free world. As evidence of that, the article cites our generous acceptance of 33,000 Syrian refugees (far more than the US), our admission of almost 300,000 immigrants a year (a higher proportion than any other big, rich country), our enthusiasm for free trade, our sane gun control laws, our strong social safety net and our likelihood of becoming the first country in the Americas to legalize marijuana as evidence that Canada is an island of sanity in a world gone mad. 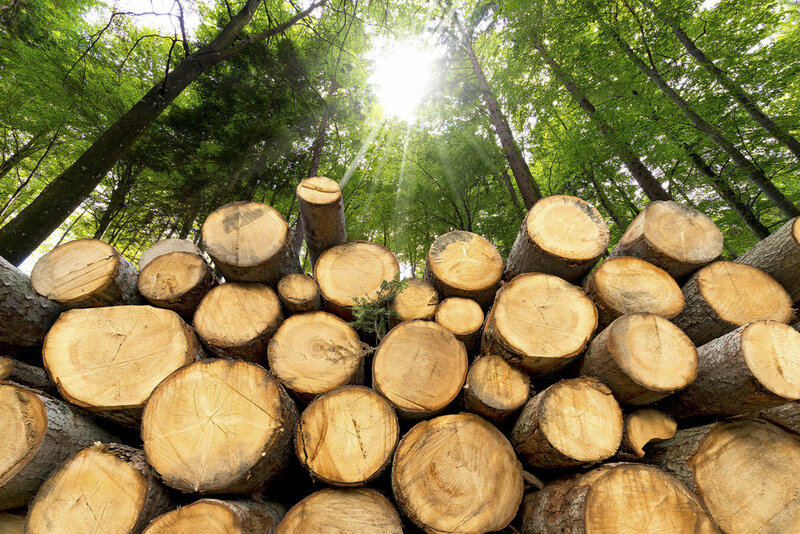 It was in 1930 when University of Toronto historian Harold Adams Innis wrote in The Fur Trade in Canada that our dependence on trading staples destined us to be no more than “hewers of wood and drawers of water”. A look at the composition of the TSX will tell you that this has not changed much in 400 years. We may not be trapping beaver anymore, but we’re still cutting trees, drawing water (for sale to bottlers like Nestle) and extracting petroleum. Call it the Innis Effect. It is the product of a mindset that would rather just ship raw commodities than invest in innovation and product development. Not that we’re not innovative, but we do have a history of coming up with great ideas only to see them funded south of the border, with all the direct benefits going to where the funders are, not where the founders came from. Despite that, when asked by the Futurebrand survey “Where does Canada have the most momentum?”, the response was: technology and innovation. Which makes the federal government’s recent big bet on artificial intelligence appear rather timely. At the forefront of that bet is the University of Toronto’s Creative Destruction Labs, which is a unique start-up accelerator designed to find the best academic science projects and expose their creators to the mentorship of some of the most successful entrepreneurs in the country. “There’s this notion in Canada about technology transfer”, says CDL Associate Director Kristjan Sugurson. “How often does an incredible new technology get built in a university lab but never see the light of day out in the public? So very few ever break out of the lab in proportion to the vast amounts of money invested in research”. Along with the U of T’s Vector Institute, headed by the godfather of artificial intelligence Geoffrey Hinton, CD Labs’ focus is on AI. So is the federal government’s. In its 2017 ‘Innovation Budget’, according to a recent article in the Globe and Mail, it pledged a $125-million investment in the AI sector. Navdeep Bains, the Minister of Innovation, Science and Economic Development also plunked down $400-million for venture-capital investments and $950-million to accelerate immigration for skilled foreigners, support “superclusters” and help train those displaced by disruptive technologies. Compared to the money that gets thrown around Silicon Valley, these are tiny investments. But it’s a start. I am writing this in ‘my’ garden, which I’d like to acknowledge is located on the traditional territory of the Haudenosaunee, the Métis, and the Mississaugas of the New Credit First Nation. Why am I making this point? Because despite the fact that branding is largely an exercise in perception management, it is still subject to the very real actions we take as a nation, both internally and externally. And in Canada, some of those actions have set up some very uncomfortable brand tensions. We are vocal champions of climate action, but are home to one of the dirtiest resource extraction operations in the world. We champion human rights on the world stage, but have systematically marginalized the nations that were here before us — and are still among us. Canada may be 150 years old as a modern western state, but the land it sits on has been inhabited by aboriginal peoples since the ice age. And, in a fact little known to most Canadians, that land, meaning all of Canada, was never ceded to us in any first nations treaties. We just stole it. We have a lot to make up for. Things like the investigation into Missing and Murdered Indigenous Women and the Truth and Reconciliation Commission are a start. But as Senator Murray Sinclair, the commission’s leading voice, reminds us, though the commission’s work is now ‘officially’ complete, the real work is just beginning, and it will take generations to achieve. The brandapalooza unleashed by companies, municipalities, institutions and governments who wish to take advantage of the commercial and political capital associated with such national milestones is in high gear. From bastardizations of the already weak Canada 150 logo to the stereotype-subverting attempts of a Roots video to redefine what it means to be ‘nice’, to Other World Media’s design of a Colonialism 150 logo (I bought the t-shirt), a lot of creative shops will be busy pumping out sesquicentennial propaganda. But when the party’s over, what kind of country will we take into the next 150? At this point, one might ask what brand marketers can do to leverage these positive perceptions of Canada. In a recent post Environics CEO Bruce Maclellan more or less echoed Gerzema: “With immigration being a key driver of Canada’s population growth for the next 50 years, communicators and marketers should seize the opportunity to position organizations and brands as standing for equality, diversity and inclusiveness”. To that I would add they should not just position around these values, they should actually practice them. Another thing communicators and marketers — and every other business to boot — can do is build their innovation muscles. Since diversity and inclusiveness are prerequisites of successful innovation, and the government is placing big bets on both, we are in a good ‘position’ to demonstrate the power of combining a liberal, open democracy with a vibrantly diverse and innovative workforce. Our professed and actual openness to diversity is what will continue to differentiate us from so many other nations that are moving in the opposite direction, especially our closest neighbour and biggest trading partner. As Bruce Maclellan says, “Canada is not simply the 51st state of the United States”. So we have a technology story, an innovation story, a political story and a cultural story — all to be told against the backdrop of an increasingly perilous world, a world where ‘nice’ is a rare and powerful brand asset. We also have some tensions to resolve, especially those that exist between Canada and its indigenous people. And we can’t claim leadership on climate change until we make a bolder commitment to exiting the fossil fuel industry. These two issues are deeply connected, for it is first nations people who are leading the charge on environmental and climate change issues in this country and our neighbour to the south.